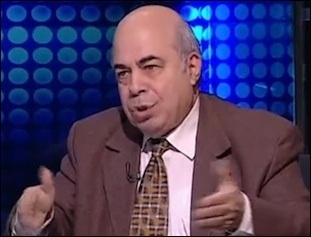 During a televised Egyptian talk show that aired on January 18, lawyer Ahmed 'Abdu Maher called for the "punishment of those who author books that promote strange and perverse ideas in Al Azhar." As with many others before him, the lawyer denounced the Islamic world's oldest and most prestigious university for continuing to radicalize its students, who go on to see the world the same way ISIS does. By way of example, he said: "There is a book in Al Azhar that calls for the forceful shaving of the heads of the Copts [Egypt's indigenous Christians], placing a sign on their homes [so Muslims know where the "infidels" reside], and refusing to shake hands with them." As it happens, the Islamic State and similar Muslim groups all make it a point not to shake hands with "unclean" Christians—here's another Egyptian cleric saying he finds Christians utterly "disgusting"—and to distinguish Christian homes with signs, as ISIS did when it placed the "N" (nun) letter on their homes in Mosul and elsewhere. But even the forceful head shaving is being practiced: back in 2013, jihadi groups in Libya abducted around 100 Copts and abused them—including by shaving all their heads. All this indicates that the worst of the worse behavior being committed by ISIS traces all the way back to Al Azhar and other mainstream schools of Muslim learning, as growing numbers of human rights activists in Egypt claim.